A man paid for his order of recreational marijuana products from NETA in Northampton on Tuesday. The smoke has cleared, and the numbers are in. 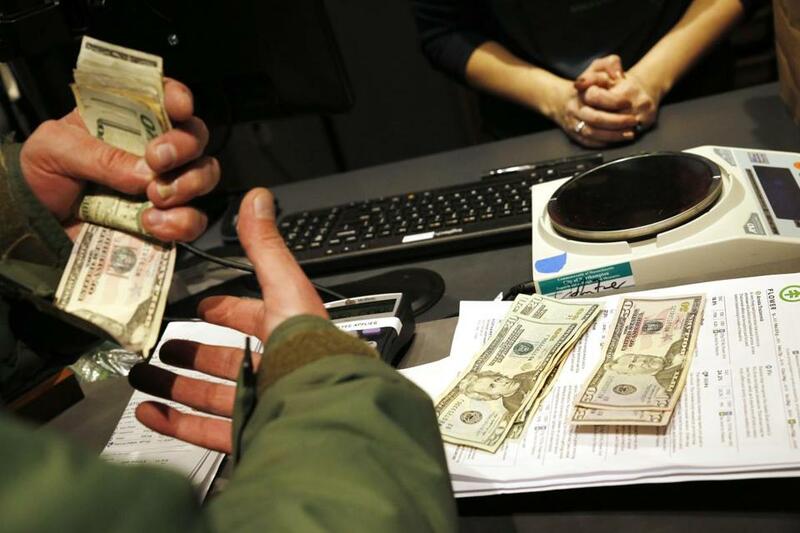 On Tuesday, the first day of legal marijuana sales in Massachusetts, consumers spent a total of $440,011 at two stores on more than 10,700 individual cannabis products, according to data released by the state Cannabis Control Commission Wednesday afternoon. The products, purchased at the first two stores to open, ranged from marijuana flower to pot concentrates to pre-rolled joints to edibles infused with THC, the main psychoactive compound in cannabis. The state will take a 17 percent cut — through a combination of the regular 6.25 percent sales tax and a 10.75 percent excise tax on marijuana — which for the first day of sales amounts to about $74,800. The communities of Leicester and Northampton, where the first two marijuana shops in the state opened Tuesday, each impose a 3 percent local tax on cannabis sales within their borders. The commission declined to provide more detailed data showing the revenue at each shop, so it was not immediately clear how much each municipality earned Tuesday. New England Treatment Access, or NETA, the store in Northampton, previously said it had served about 2,000 customers Tuesday, while Cultivate in Leicester said about half that number showed up. Both stores are closed on Thanksgiving but will reopen Friday. Customers were lined up at Cultivate in Leicester on the store’s first day Tuesday. Norton Arbelaez, NETA’s director of government affairs, said Tuesday was a “very, very successful first day” — in terms of both sales totals and the smooth functioning of various software systems and company protocols. Arbelaez added that he expects high demand to continue, as consumers from Massachusetts and other nearby states flock to his shop. The stores opened at 8 a.m. Tuesday, more than two years after voters approved a ballot measure legalizing the drug and establishing a system of regulated sales. Massachusetts is the first state east of the Mississippi River to launch a regulated recreational pot market. 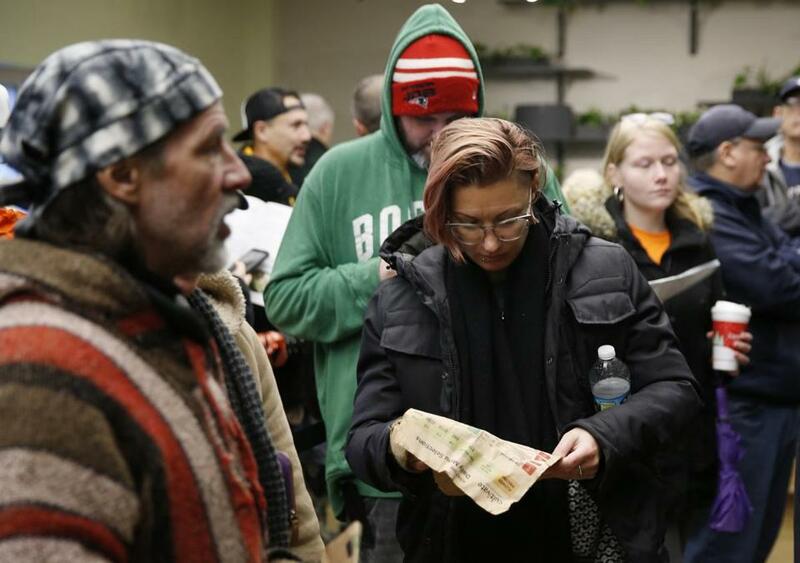 Hundreds of customers gathered in long lines at both shops Tuesday and Wednesday, waiting more than three hours in some cases for the chance to be among the first to buy cannabis legally. NETA and Cultivate each said it had sold out of certain products, but still had inventory remaining as of Wednesday afternoon. Dan Adams can be reached at daniel.adams@globe.com. Find him on Twitter @Dan_Adams86.